Looking at three ways we walk in Christ in Ephesians 5, we see that Christians are to love, be holy and be wise! Kyle talks at Common Room about 5 signposts Paul lays out for us in Ephesians 4:17-32 to see if you are living in Christ! "Are you living in a manner worthy of your calling?" Lindsay Crisanti digs into Ephesians 4 and looks at the calling we have in Christ. There is something in all of us that feels unlovely and unlovable, but it ought not be that way. Kyle talks about how deep God’s love for us goes. Kyle continues our 30,000 ft series talking about how we, the jew and gentile, are one in Christ. Kyle continues 30,000ft preaching out of Ephesians 2:11-22. Kyle starts into Chapter 2 of the book of Ephesians by talking about how in Christ we move from death to life. Kyle starts our series in Ephesians called “30,000ft” by looking at the phrase Paul uses 30 times in the book - "In Christ" - and what life in Christ means. Kyle finishes our Adult+ish series by talking about the church and how young adults fit in it. Kyle continues the Adult+ish series by talking about politics. Who should you vote for? Should you vote? Find out! Kyle continues our Adult+ish series talking about Technology: how screens and social media have impacted our life and how to walk in wisdom in the world of technology. Americans devote more than 10 hours a day to screen time, and growing. 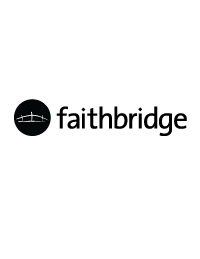 Faithbridge founding pastor Ken Werlein shares some practical wisdom about how we should view money and steward it biblically. Kyle continues our 'Adult+ish' series looking at the place where we spend a third of our lives: work. Kyle kicks off our ‘Adult+ish’ series by looking at how we get through the quarter-life crisis that almost everyone in their 20s will face. Kyle concludes our summer in Psalm 23 by looking at verse 6 - "Surely goodness and mercy will follow me all the days of my life and I will dwell in the house of the LORD forever" - and how we have a promise that the best is yet to come. Kyle talks about the blessing of God, as we study verse five. He prepares a table before me in the presence of my enemies, he anoints my head with oil. My cup overflows.